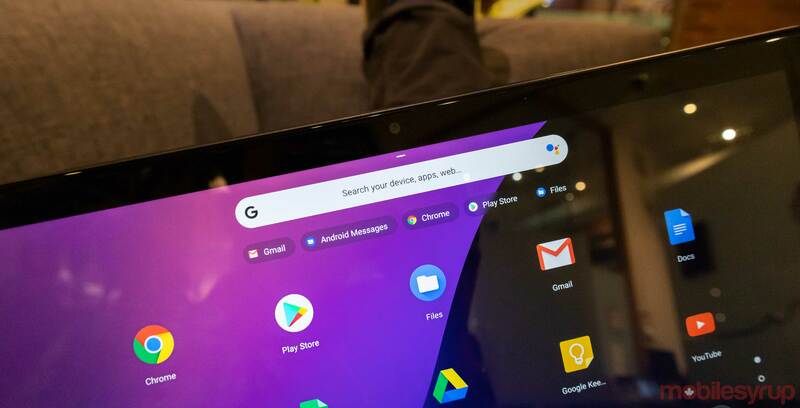 One of the best aspects of Chrome OS is its built-in search functionality, which is about to get even better. The first of two new features coming to Chrome OS search is Android app indexing. This comes via Firebase App Indexing, which was previously only supported on Android and iOS. App indexing allows apps that support the feature to return search results from within the app. In other words, if you search for a book using the Chrome OS search bar, you’ll see results from Google Play Books in the search bar. Further, you can enable the feature in some pre-release versions of Chrome with a flag. You can search for ‘#enable-app-data-search’ or simply navigate to chrome://flags/#enable-app-data-search’ on Chrome OS. The second search feature should help users search for installed Linux apps. Spotted in the Chromium Gerrit, an online collaboration tool for developers, a new code change would allow search to look into the ‘keywords’ property contained in a Linux app’s ‘.desktop’ file. Linux uses that file to display application icons correctly throughout the OS, but the keywords section also include phrases to improve search indexing. For example, a photo editor like GIMP may consist of a “photo editor” keyword in the .desktop file to help users find it via search. With those additions to Chrome OS, users may have an easier time looking for things on their computers. Searching into Android apps and surfacing better Linux app results could make it easier for users to find what they need quickly.